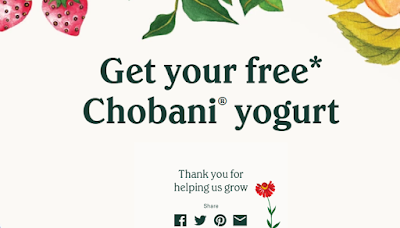 Savvy Spending: *HOT* Free Printable Chobani Yogurt coupon! 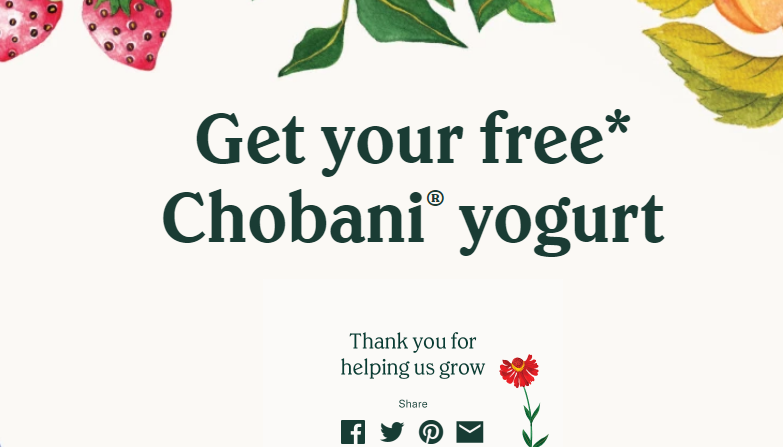 *HOT* Free Printable Chobani Yogurt coupon! You can print a coupon valid for a FREE Chobani Greek Yogurt, Flip, Drink or Smooth 2-Pack – up to a $2.19 value! This coupon expires 3/4 and is limited to one per person and is void in LA and NJ.